Acharavi is a medium-size town placed along the North coast road; it is quite far from Corfu town and it is exactlybetween Kassiopi and Roda villages. Akaravi has a nice sandy beach, is surrounded by huge Mediterranean vegetation and it is located not far from the Pantokratoras mountain. 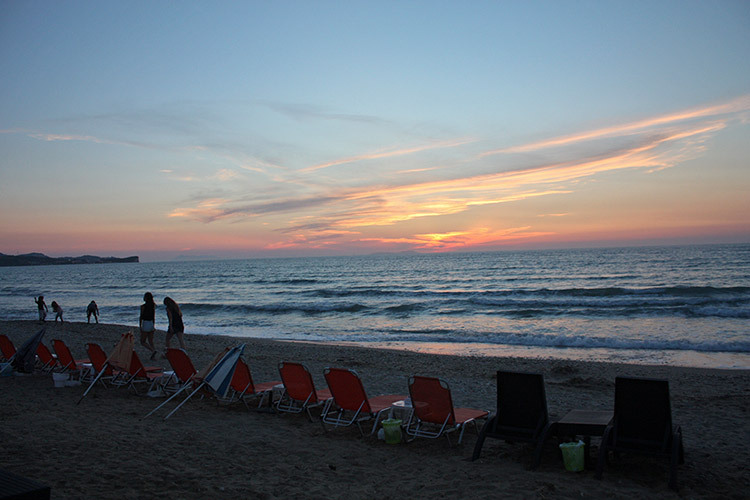 Acharavi is the ideal holiday place for people who want to have all the comforts and also a big and relaxing beach. From Acharavi start a lot of walking tracks to the hinterland where you can visit some traditional villages and the ruins of ancient Roman Baths. Roda is a typical village developed first of all for tourism. Here you can find everykind of facilities such as the local restaurants, snack bars, tour operators, internet cafes and disco clubs. Roda is closed between the coast road and the beach; it’s loved by English tourists and offers two different beaches. Today there are few houses that remains the old traditional village of Roda. From Roda you can easily reach the nearby Acharavi and Sidari or organise a trip to the beautiful Diapondia islands. The town of Roda is one of the most tourist in this area and offers two beaches. The first one is smaller and recess. It’s located at the west side of the village next to a small pear from where leave fishing boats and tours. The second beach instead is developed along the coast just in front of some local houses. These beaches are both sandy and the sea here is calm and never very deep, it’s ideal for small children. The sandy beach of Acharavi is pretty wide and extremely long. 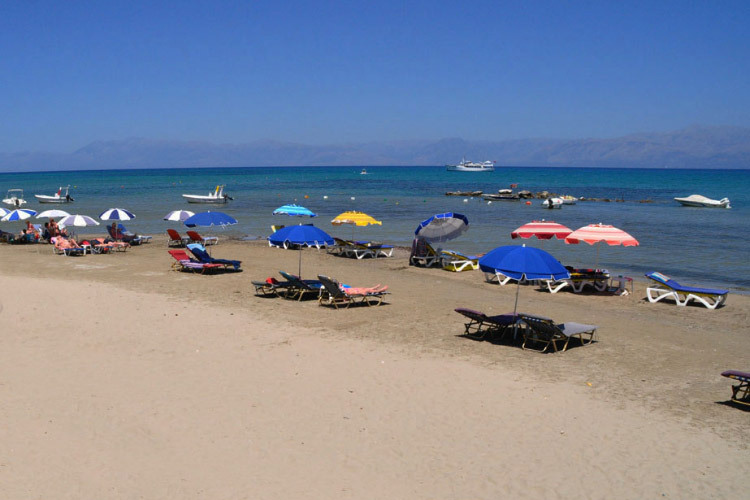 Its length is about 3 kilometres and it connects the beaches of Roda and Almyros. The sea in not very deep so it’s a safe beach for children. Acharavi and Roda are connected each other and with Corfu and Kassiopi by every day local bus service. It’s moreover possible to take in both towns jeeps, motorbikes or bicycles for rent. In Acharavi and in Roda you can find many kinds of shops like supermarkets, souvenir shops and everything else you may need. 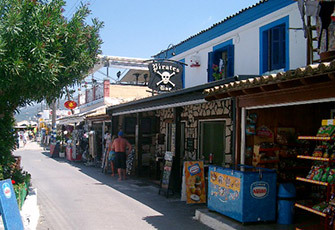 In both town there are local restaurants and cocktail bars that remain open from the morning till late in the night. For those who love sports there is a water park, some basketball fields and possibility to play beach volley. We would like to suggest Maistro Restaurant - Bar to you as the best choice in Acharavi area to taste traditional Greek cuisine and Corfu local gastronomy. Acharavi is a medium-size village and you can find anything you’re looking for, from hotels and apartments to cheap studios. Roda is a pretty big village that offers different kinds of accommodation to satisfy any need.